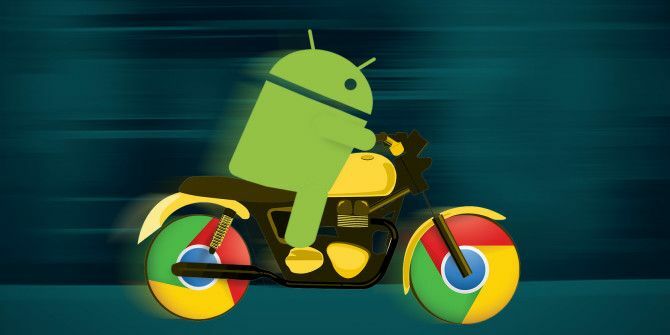 Most speed tests and comparisons make it clear that Chrome is the fastest browser on Android What's the Fastest Android Browser? 7 Top Apps Ranked What's the Fastest Android Browser? 7 Top Apps Ranked With so many Android browsers available, which are the fastest? Here are the best browser apps on Android. Read More , but that doesn’t mean it couldn’t be better. 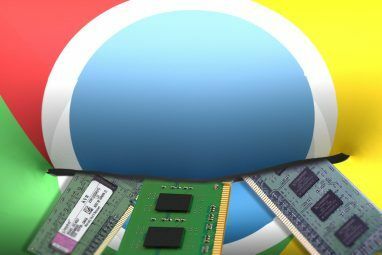 While there are no extensions for Chrome on Android, there are other tricks to make it dazzle. As much as we like the new Firefox for Android and its tab queuing Firefox 42's Tab Queuing for Android is Awesome - Try it Out Now! Firefox 42's Tab Queuing for Android is Awesome - Try it Out Now! Mozilla has released a new beta version of its popular Firefox web browser and it's got a fantastic feature for Android smartphones. Tab Queuing opens external links later in the background in Firefox. Read More , that’s one feature that can’t be replicated in Chrome. But there are plenty of others. All you need is the stable Chrome for Android, although the following tricks would also work with the Chrome Dev or Chrome Beta versions. Just like the hidden Chrome flags to improve desktop browsing Speed Up Chrome By Changing These 8 Flags Speed Up Chrome By Changing These 8 Flags While many people claim Chrome is a memory hog, it is possible to greatly improve your browser's speed by tweaking some "flags". Here are the eight best tweaks that you can make today. Read More , you can supercharge Chrome for Android too if you know which flags to play with. That’s where this list comes in. For each flag, we’ll give you a direct address to visit or a key phrase to enter in the “Find in Page” option. This is one of the most annoying things about clicking 7 Disastrous Mouse Click Mistakes You Don't Want to Make 7 Disastrous Mouse Click Mistakes You Don't Want to Make Put into the wrong hands, the mouse could turn into a destructive tool. We show you which mouse routines you might take for granted and how they throw off less experienced users. Read More on the web. You’ll open a page, see a link, and go to tap it—but just before your finger hits the screen, the link goes one line down or low, and you accidentally tap an unintended link. This is usually because a new element on the page loaded in that split second, but it takes frustratingly long for you to go to the next page, return to this one, and then tap the right one. One of the hidden gems in iOS 9 10 Hidden iOS 9 Features You Might Not Have Noticed 10 Hidden iOS 9 Features You Might Not Have Noticed From saving your battery life to guarding your privacy, here are 10 iOS 9 additions that definitely deserve their 15 minutes of fame. Read More is Safari’s improved Reader Mode, which strips a page of all non-essential elements so you can read an article without being disturbed by ads or thousands of links to other articles on the same site. Well, Chrome on Android has it as a hidden feature too. Tab management is a big problem on desktop Chrome Master Tab Management in Chrome with These Built-in Features Master Tab Management in Chrome with These Built-in Features It’s time to master tab management in Chrome. Let's see what's possible without installing a single extension. Read More , and an even bigger one on Android. When you have several tabs open, it’s difficult to actually browse through them or know what you have already opened. Often, you’ll end up opening one of your favorite sites twice, since tapping “New Tab” and the site’s shortcut from your speed dial is easier than searching. Of course, this has a detrimental effect on your Android phone’s RAM and general performance. One Chrome setting tries to fix this. If you use Facebook on Chrome like you should How Facebook Is Ruining Your Android (and What You Can Do) How Facebook Is Ruining Your Android (and What You Can Do) If you care about battery life, performance, or privacy, you're going to want to uninstall the official Facebook app and use one of these alternatives. Read More , and you tap its icon from the speed dial, Chrome will instead take you to the already open Facebook tab instead of loading the site again in a new tab. 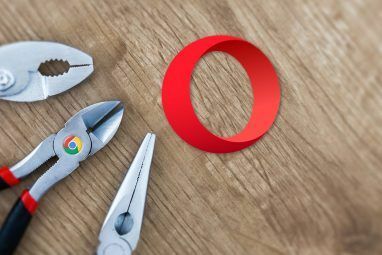 Google Chrome’s omnibox is a powerful tool 11 Quick Tricks To Become A Chrome Omnibox Power User 11 Quick Tricks To Become A Chrome Omnibox Power User Do you want to become an Omnibox power user and save plenty of time and keystrokes? 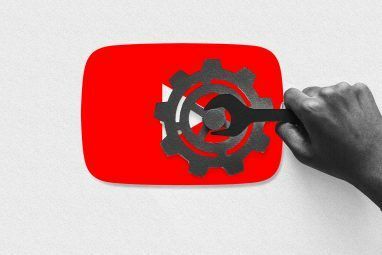 All you need are a few good extensions and a little knowledge of how to tweak the search settings.... Read More , letting you both search and open links, apart from various other tasks. But search is its main feature, since you get Google results almost instantly. Wouldn’t it be neat if the links also loaded as fast when you tapped them? Well, there’s one trick to speed them up. You see a page while browsing. You know it’s interesting but you want to check it later. Why should you have to load the article again when you come back to it? There’s an easy way to save it offline in Chrome, making it one of the best offline Android apps for living without data The Best Offline Android Apps for Living Without Data The Best Offline Android Apps for Living Without Data Data plans are expensive, and you don't need them. Here's how you can get by without one and still take full advantage of your Android smartphone. Read More . Sure, you could use Pocket for Android to read it later Pocket 5 For Android: A Polished Way To Save Content To Read Later Pocket 5 For Android: A Polished Way To Save Content To Read Later The Web is full of cats. Seriously, they're everywhere. So are other silly memes and many other things conspiring to steal your attention. So how do you make time to read the good stuff? Read More , but services like Pocket don’t work well with every single site out there, especially things like a discussion on your favorite forum. Explore more about: Android Customization, Google Chrome, Offline Browsing. The tab accessibility flag on Chrome Android is get to get the list of tabs when there are hundreads of tabs open (like I have over 1200 tabs on one of my phones). Very cool. But when I activated most of these I suddenly don't have the "bookmarks" option on my drop-down menu any more. Starring pages saves them - how do I bookmark a page now? And I can't even view the bookmarks I have - no option on the menu.